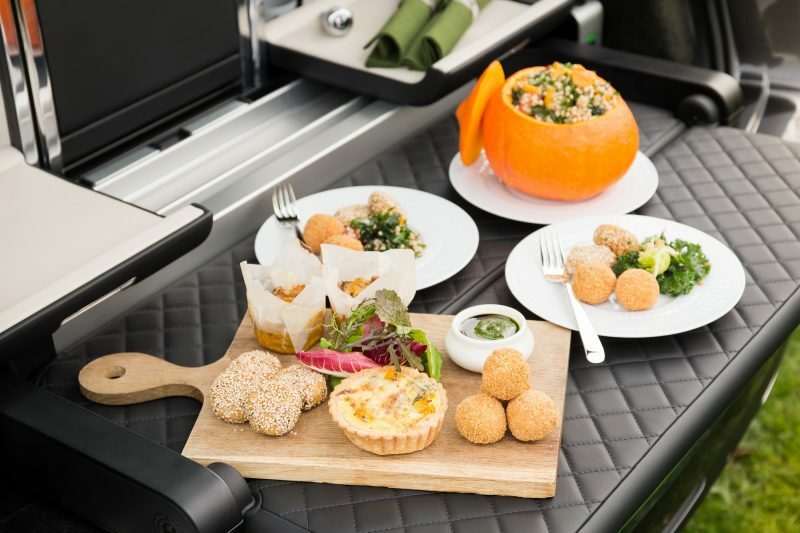 The culinary team at Daylesford Organic, the award-winning English farm-shop emporium, has created a seasonal organic picnic menu for Bentley Bentayga owners. The delicious banquet is designed to be served from the £22,000 Linley Hamper by Mulliner, equipped with the finest tableware and cutlery. 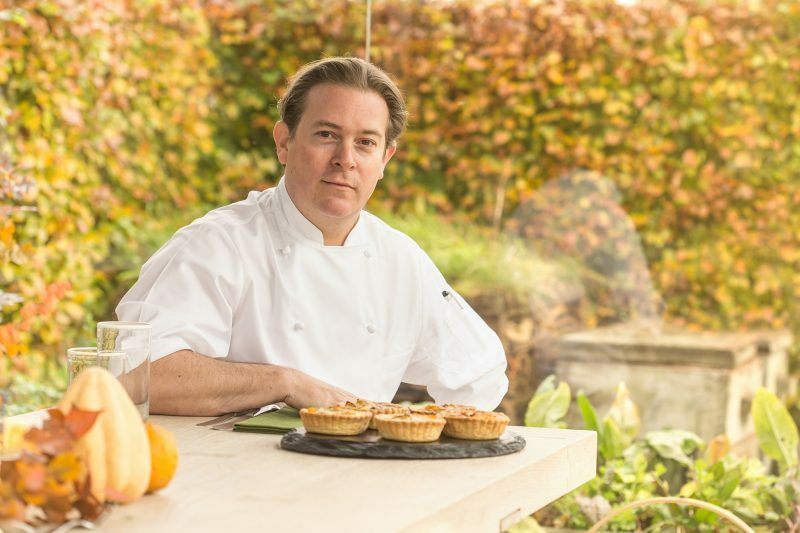 When devising the menu, Gaven Fuller, Executive Chef at Gloucestershire-based Daylesford Organic, was inspired by the flavours and colours of the best organic seasonal produce. The bespoke feast includes a carved Daylesford pumpkin filled with green kale, heritage apples, crispy bacon, toasted seeds and a honey mustard dressing. This is complemented by an autumnal buckwheat tabbouleh; wild mushroom, truffle and gruyere arancini; roasted squash and balsamic red onion tartlets and red kuri squash, chilli and chickpea cakes. To finish, there are raspberry macaroons with a buttercream filling; chocolate praline slices and lemon and raspberry gateau. “Late autumn is a time of great abundance at Daylesford,” explained Gaven. “As the weather grows colder, we look to the earthy, intense flavours of our many varieties of pumpkin, squash and beetroot – each nurtured over the summer months in our rich organic soil. “Careful slow-cooking techniques bring out their subtle sweetness and, carefully paired with our tender grass pastured beef, game or foraged wild mushrooms, offer a true celebration of the season. The team of craftspeople at Mulliner – Bentley’s personal commissioning division – created the Linley Hamper set to enhance the experience of Bentayga customers wishing to enjoy luxury dining in the great outdoors. Designed by the Queen’s nephew, Viscount Linley, the hamper is comprised of plates, cups and saucers sourced from the Sublime Collection of Haviland – the renowned French porcelain maker. Four sets of award winning Alta Robbe and Berking silver cutlery are joined by a beautifully crafted chrome-finished Bentley ‘Flying B’ bottle stopper. The set comprises of three separate compartments, each hand-trimmed by Mulliner’s experienced craftspeople in a choice of Camel, Hotspur, Linen, Magnolia, Beluga or New Market Tan exterior leather. To add an additional personal touch, Mulliner can embroider a name, logo or family crest into the leather. The Linley Hamper by Mulliner is secured into the Bentayga on a custom-engineered docking mechanism. This allows all three compartments to be pulled forward to the edge of the tailgate, for effortless access and removal from the vehicle to maximise luggage space. The hamper can be utilised with or without the Bentayga’s unique Event Seat option, providing a variety of ways to enjoy al fresco dining. For added comfort in the great outdoors, the hamper boxes can be removed and used as seats.